We are beginning this week of thankfulness with bursting hearts of thanksgiving! We've been keeping a little secret you see, and we're so excited to share that these three Hills will soon be four! Come June 2018, our house will grow by one sweet little babe and our hearts will not be able to contain all the love or excitement! 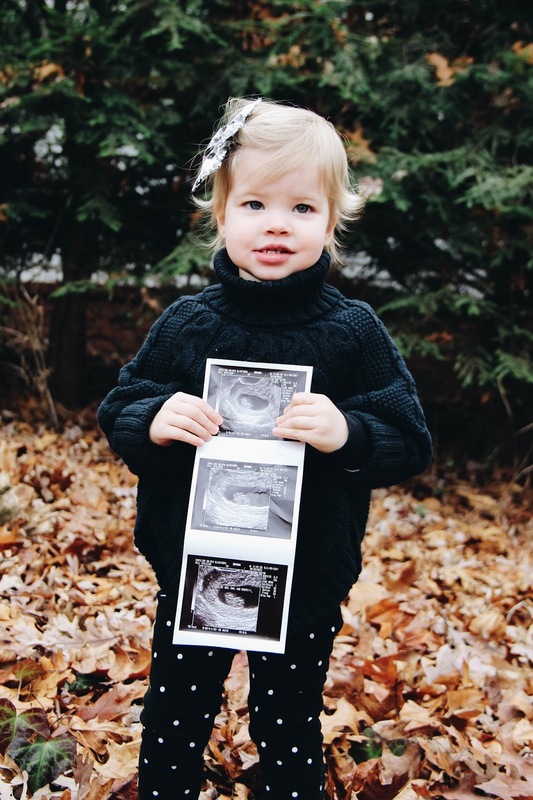 Husband and I are just thrilled to be expecting another baby, and we are over the moon for our Greer girl to become a big sister. Y'all, she gets it just a little bit, and I already know that she is going to be the best in her sister role. She loves her friends and cousins like no other, and she's the sweetest little mama to her baby dolls. Greer never misses a baby, whether on the diaper box or when out and about, always telling me all the things a baby has....like a diaper, a blanket, little feet, and a mouth :) I can't wait to watch her meet her baby sibling. I don't know if my mama heart can handle it; I'm going to be a puddle. This girl of ours loves to point out where baby's photos are hanging on the side of the fridge. Whenever there's someone visiting, she makes sure to let them know. I'm already thinking this little big sister is going to be possessive of a little tiny someone. And I kind of love it a lot! 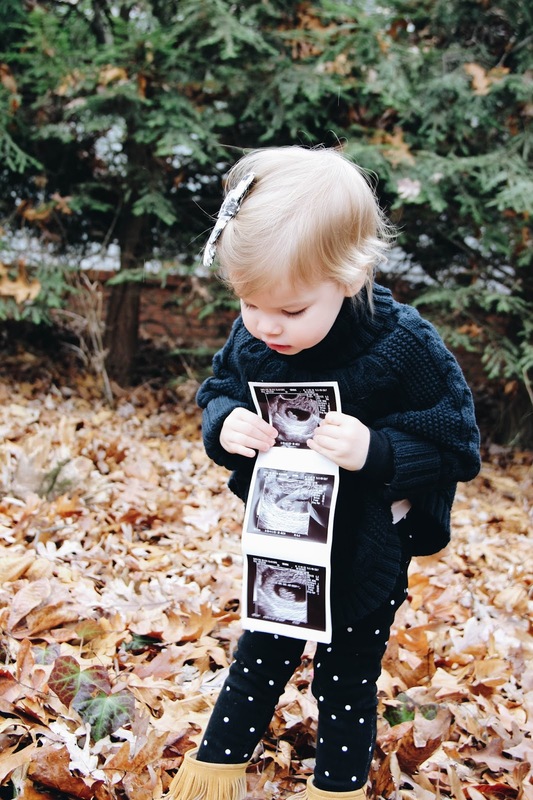 Greer will be two and half (just about exactly) when baby arrives, so I know that she's really going to understand this whole baby thing by then. And that's really exciting to dream about. I just can't believe that my first baby won't be the baby anymore. I remember her birth day like it was yesterday, and soon enough I'll have another birth day tucked away as a sweet memory. My belly is already starting to pop (second babies do. not. mess. around. ), especially at the end of the day. And that's just been wild. My body already knows what to do, so it's just making itself at home, stretching out and prepping for this babe. 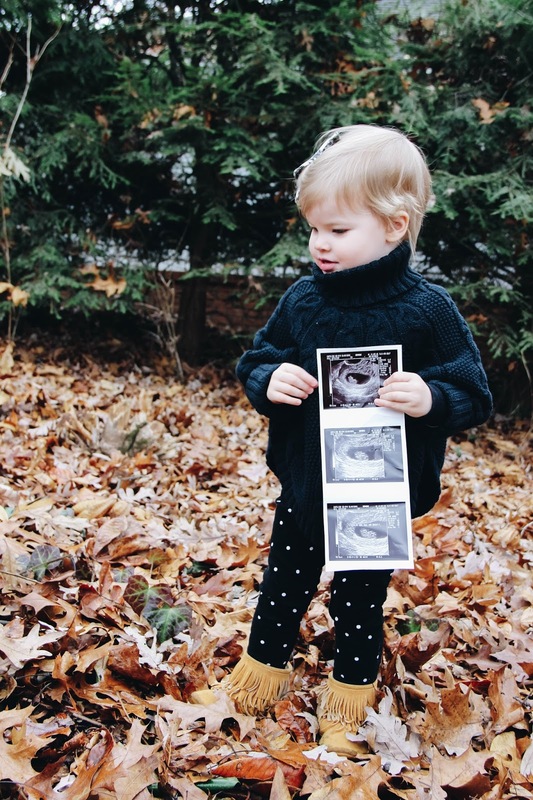 So far, this pregnancy has been pretty identical to Greer's. I'm nauseous 24/7 without actually getting sick, smells are my mortal enemy, and carbs + sweets + juice/water are my only food sources. I'm looking forward to the 2nd trimester bliss that (hopefully!) awaits. As far as gender goes, I'm totally thinking girl. I'm not sure if it's because my pregnancy has been so similar to Greer's or if it's because I've had a girl and that's all I know. But, we'll find out come January, and either way we are going to be so thrilled! This little baby, our Junebug, is so very loved and prayed for. 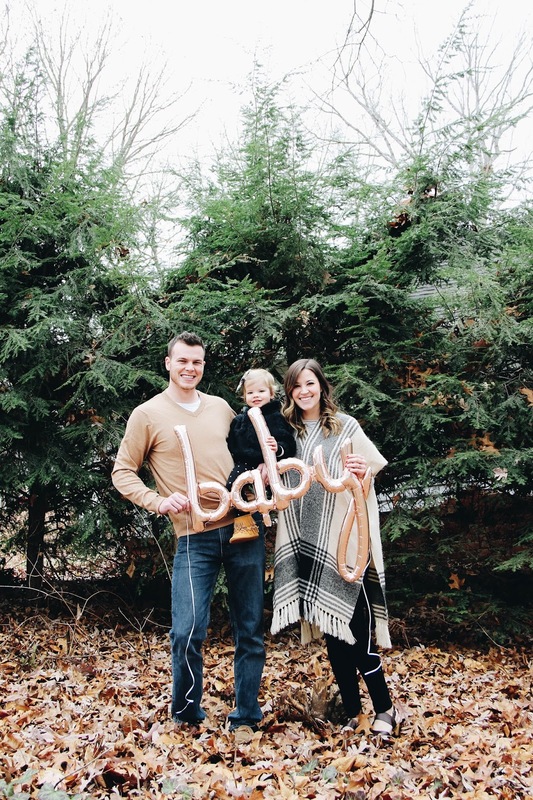 We can't wait to meet that cute little face! Till then we'll be soaking in our time as "the three of us."